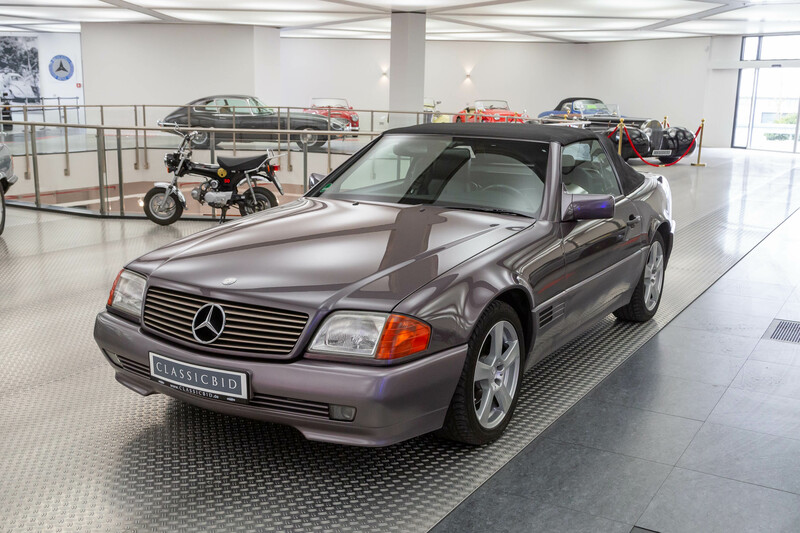 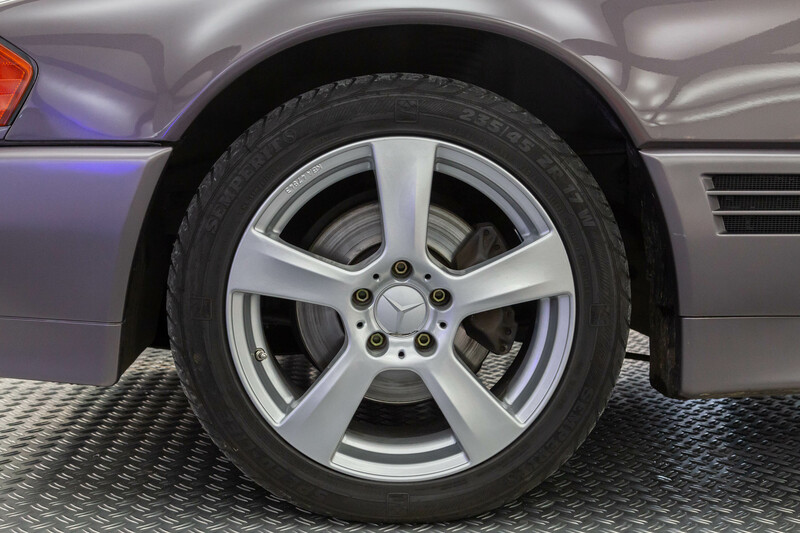 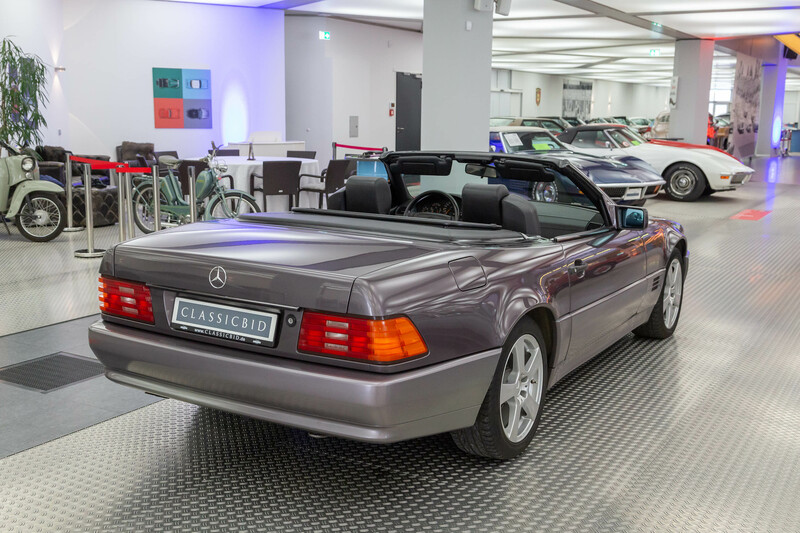 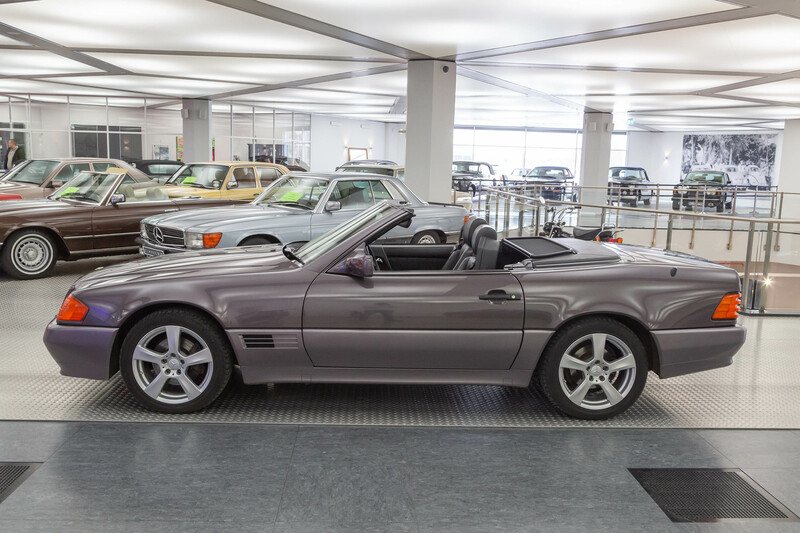 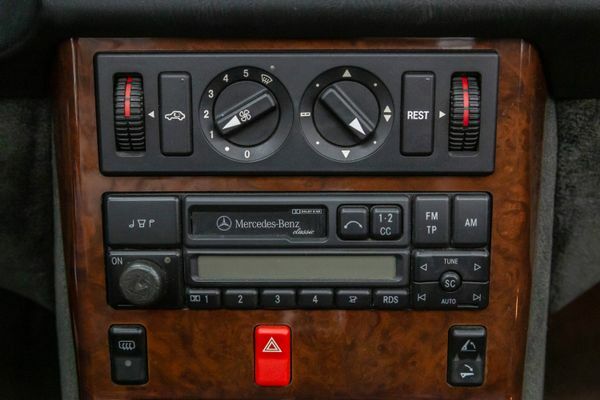 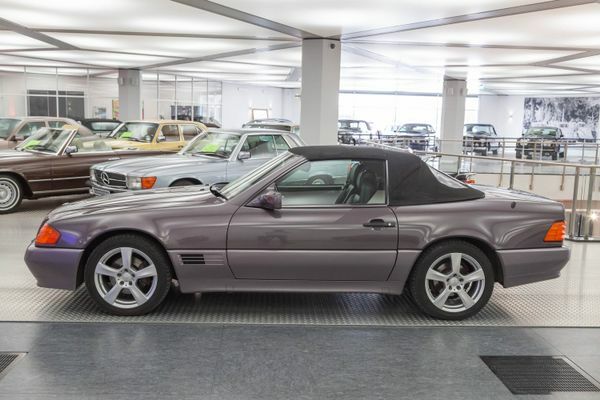 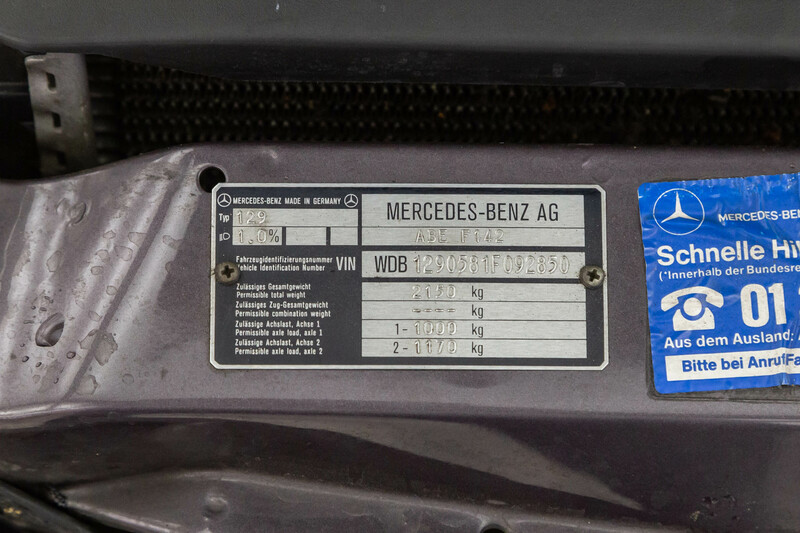 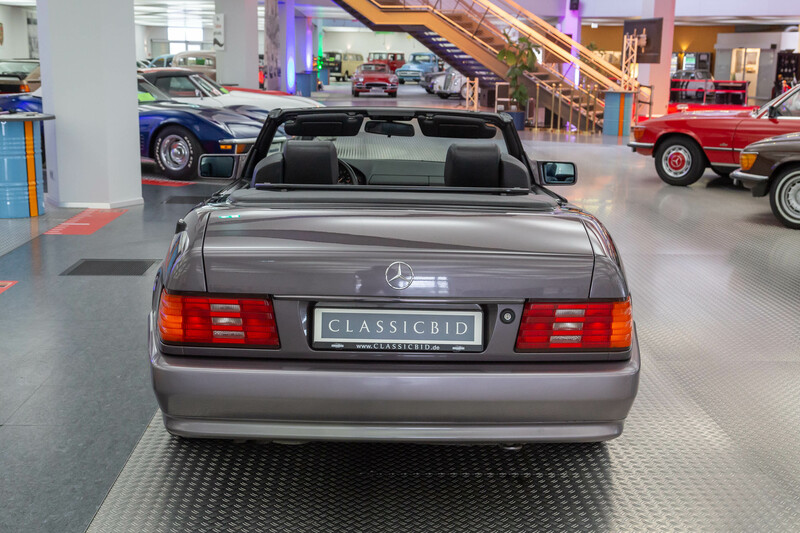 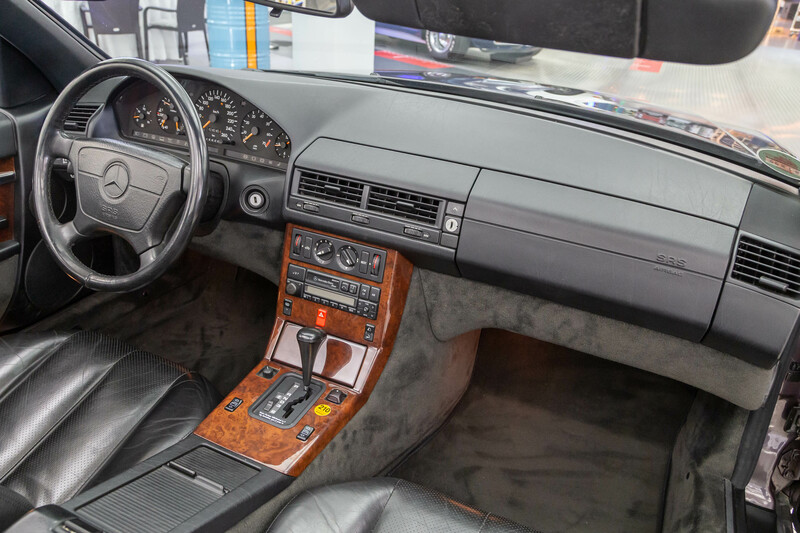 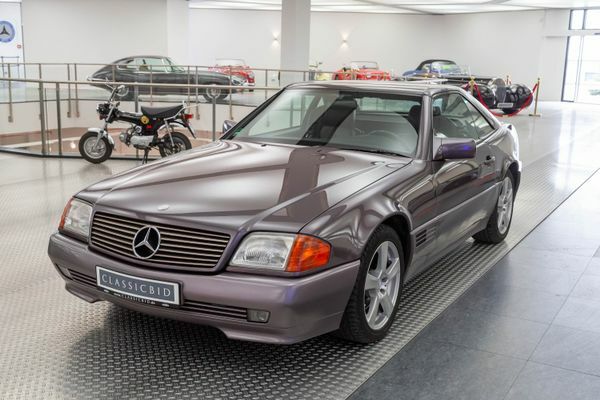 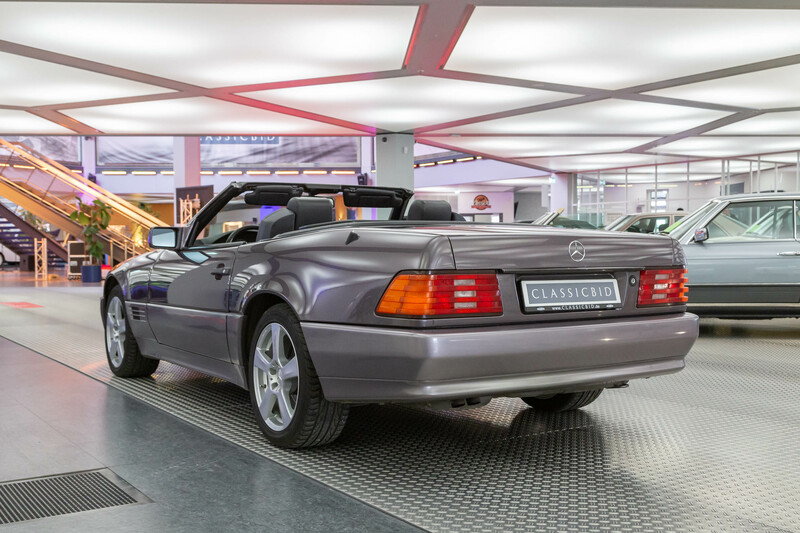 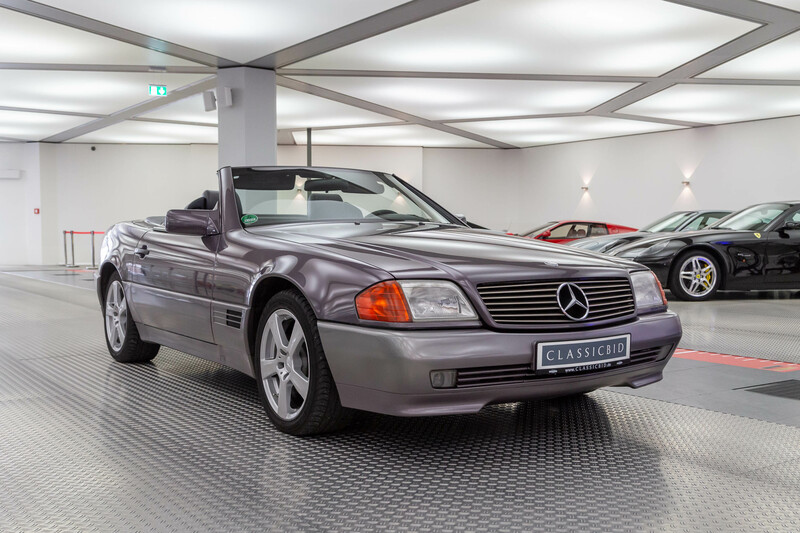 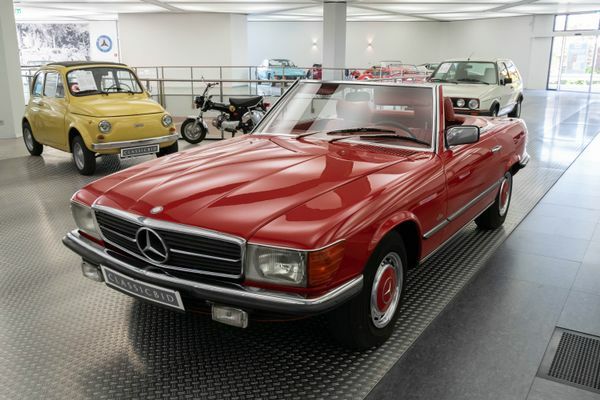 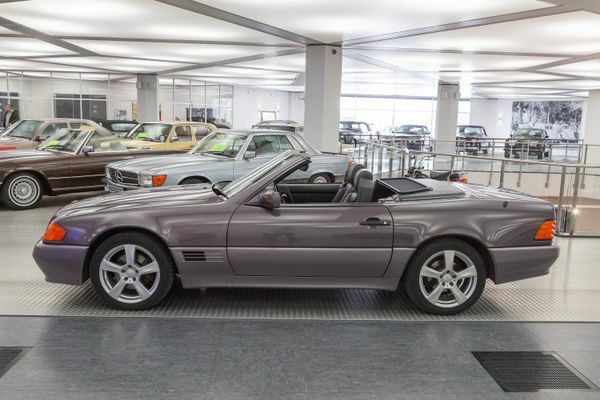 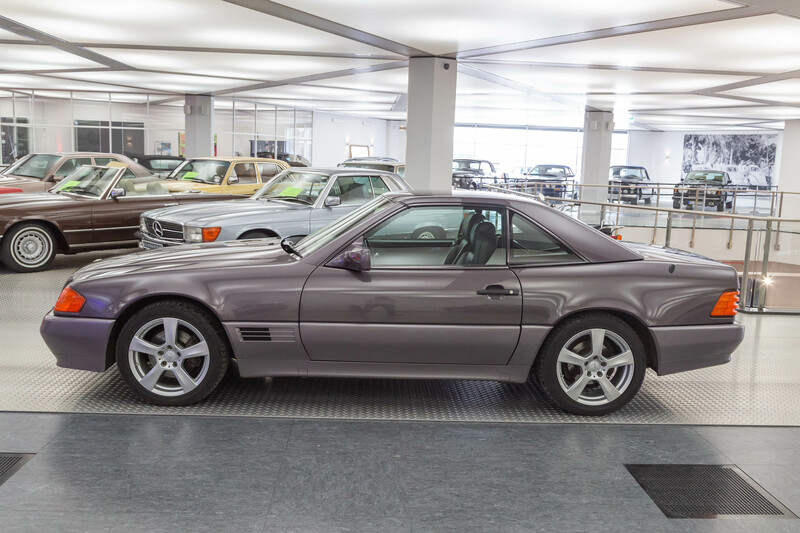 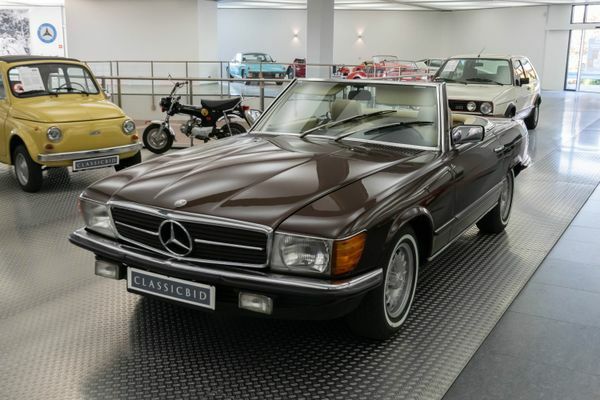 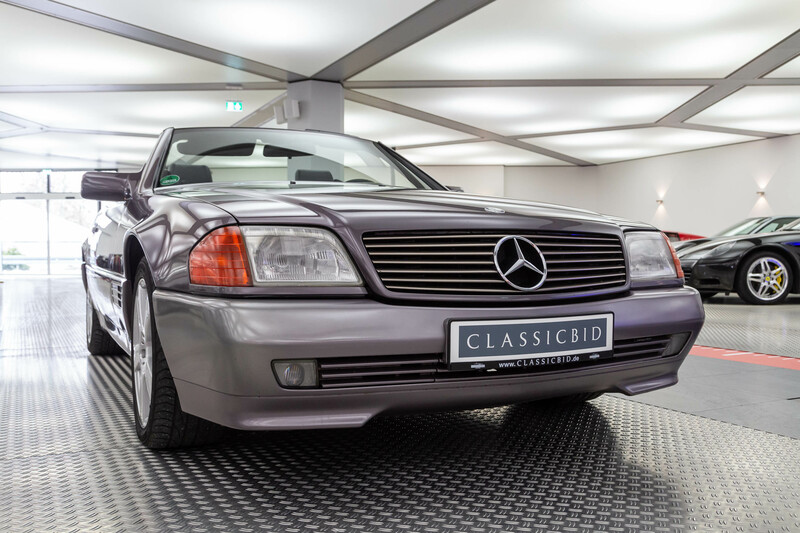 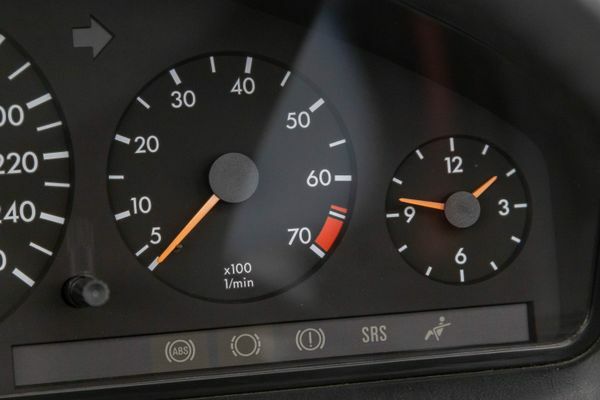 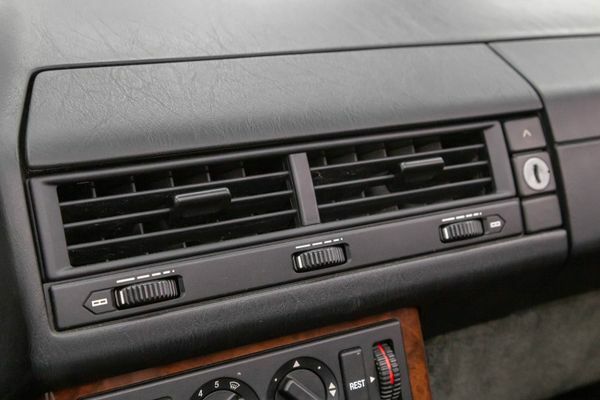 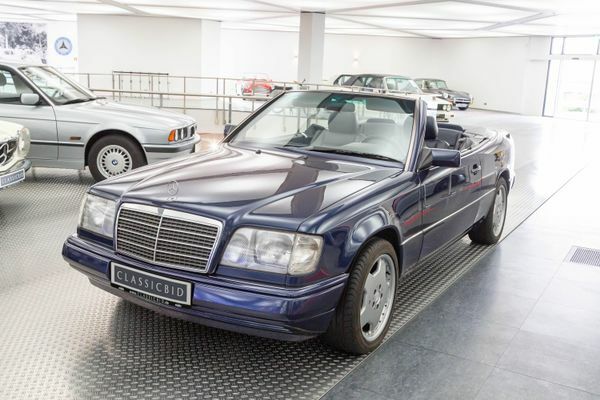 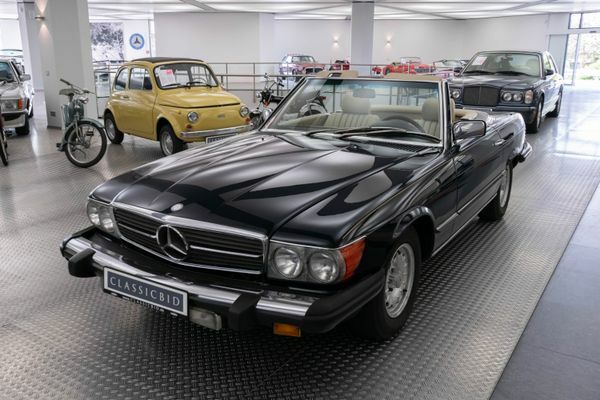 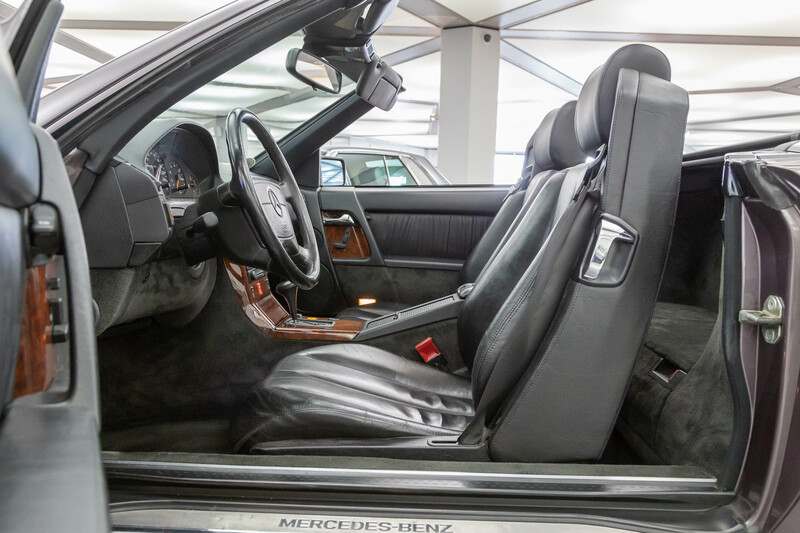 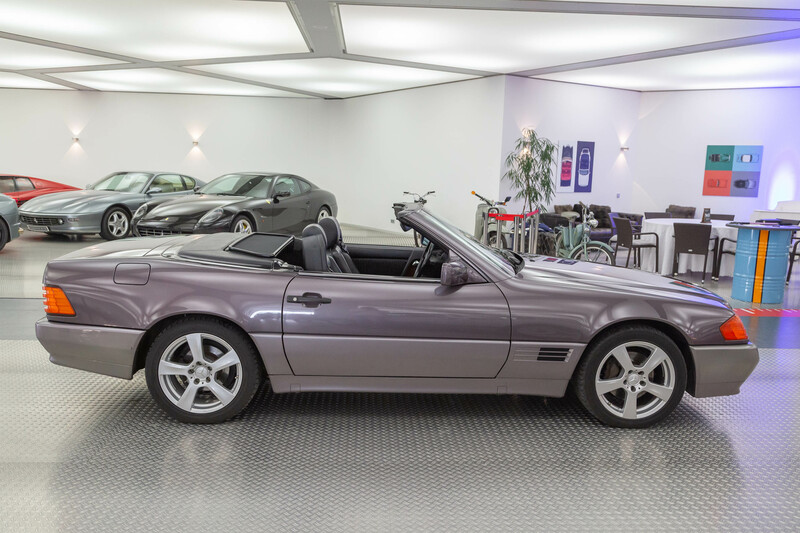 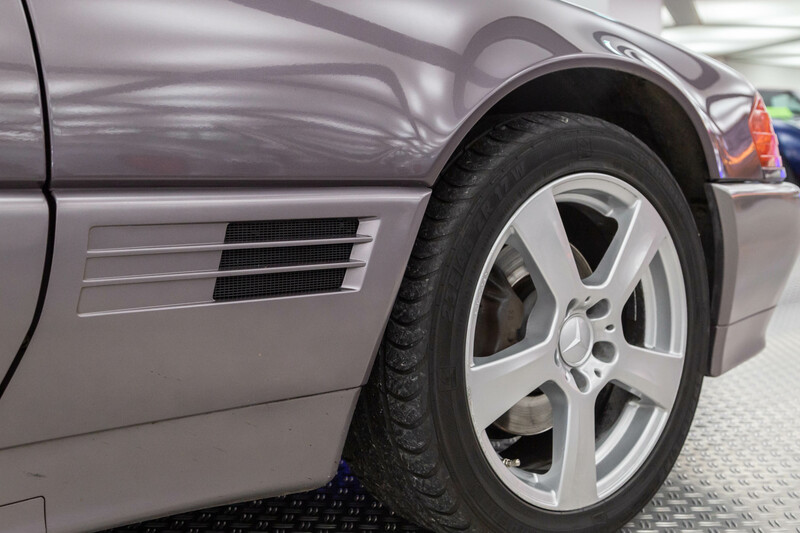 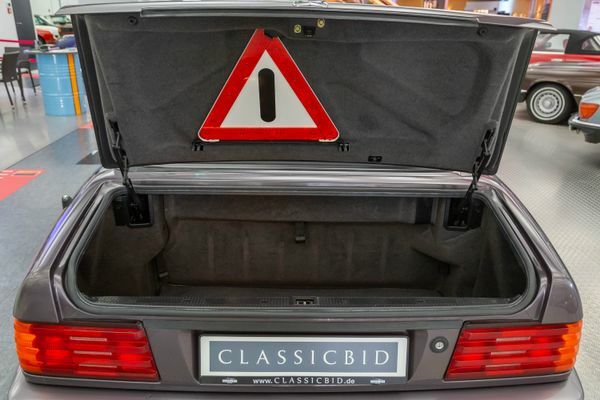 At the 1989 Geneva Motor Show, Mercedes-Benz presented the new SL from the R129 series. 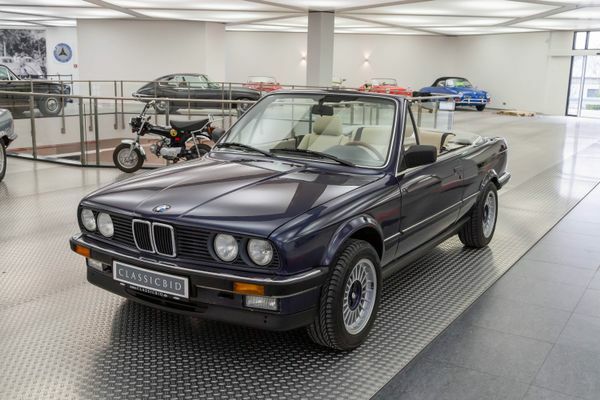 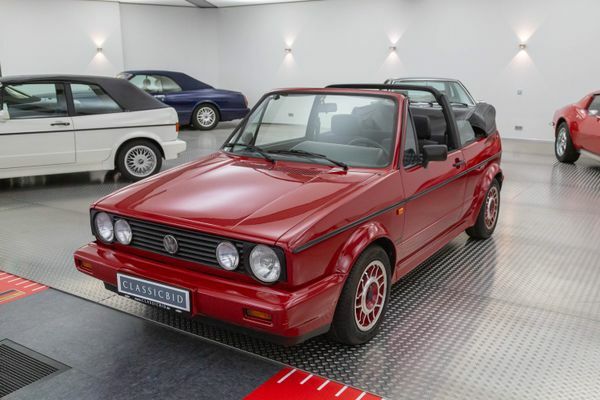 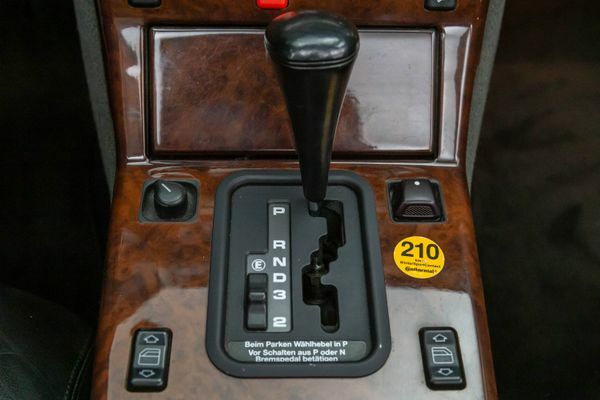 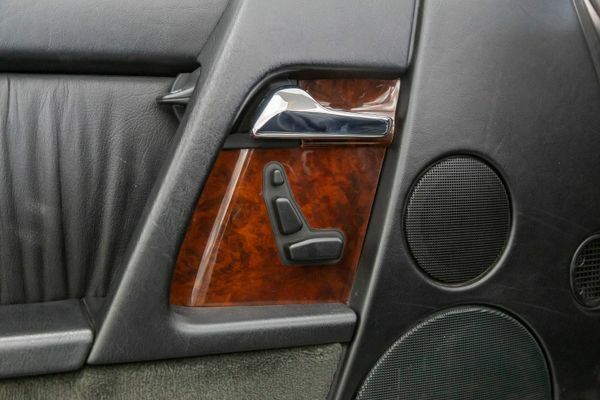 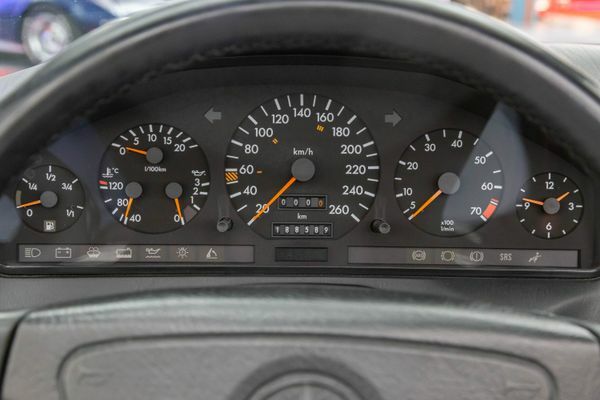 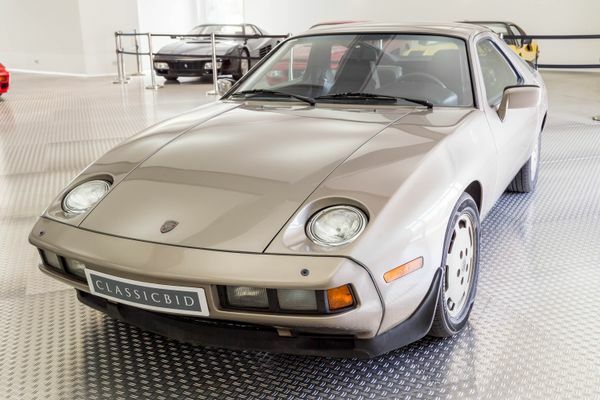 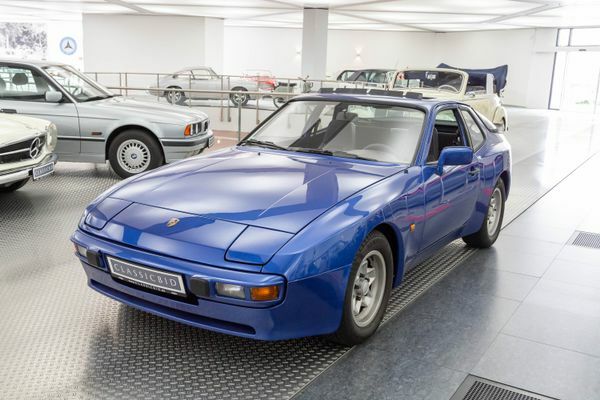 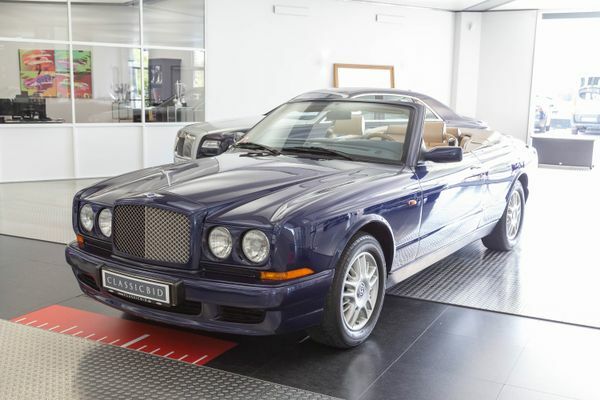 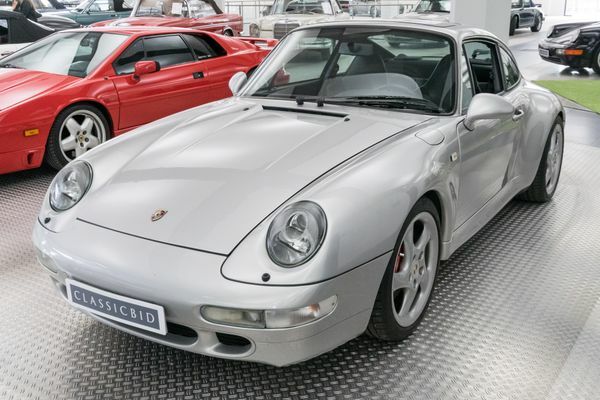 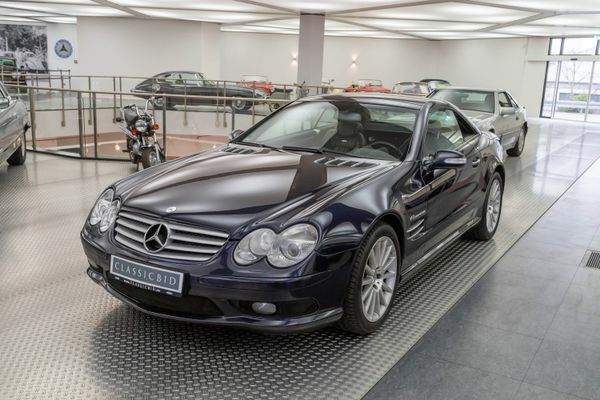 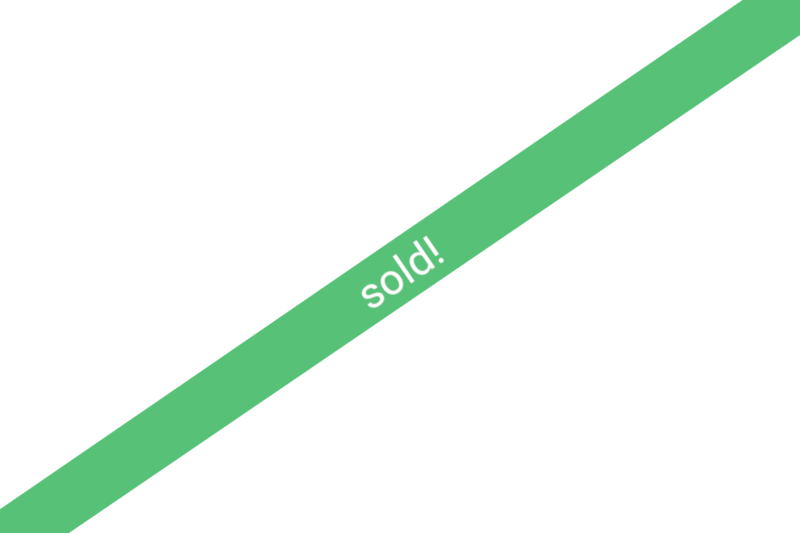 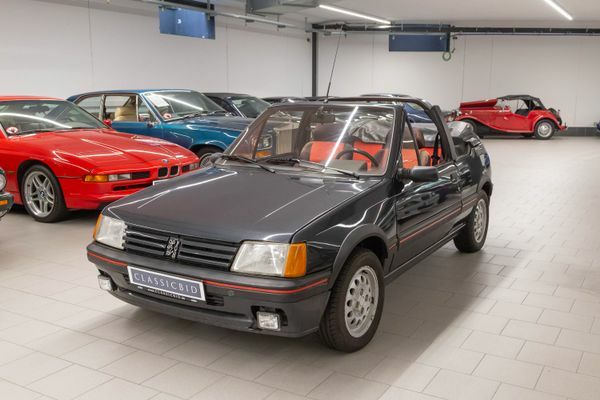 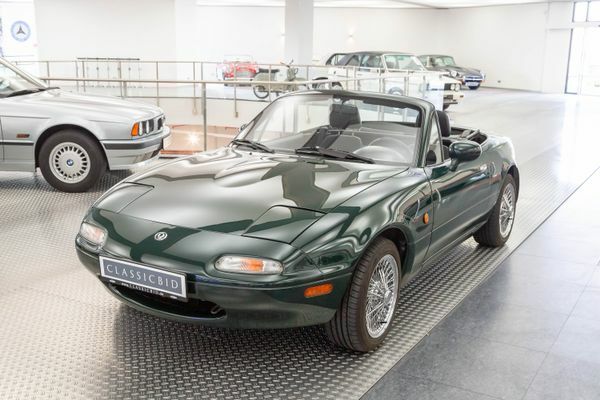 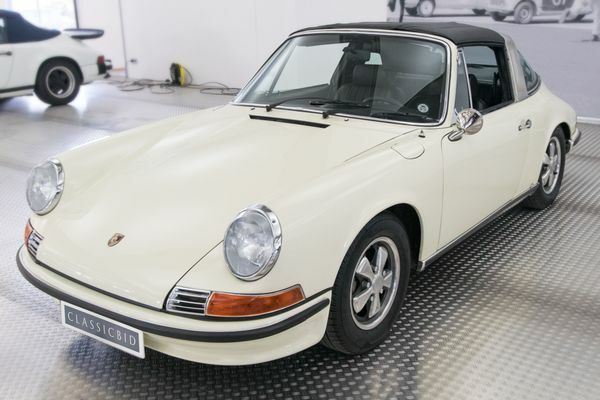 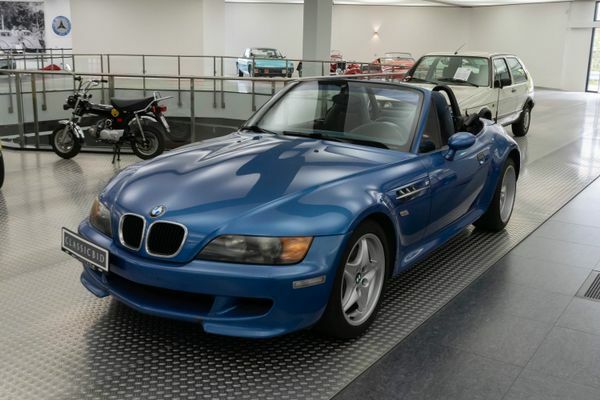 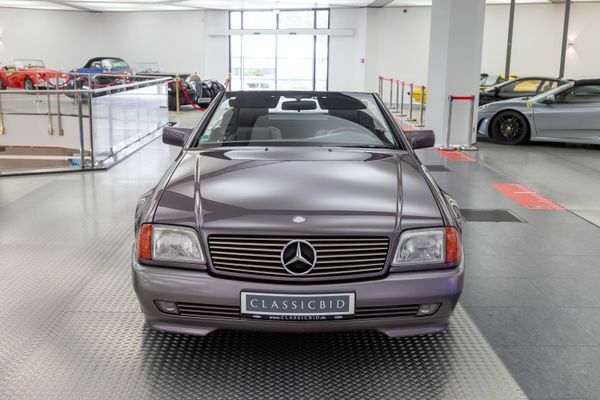 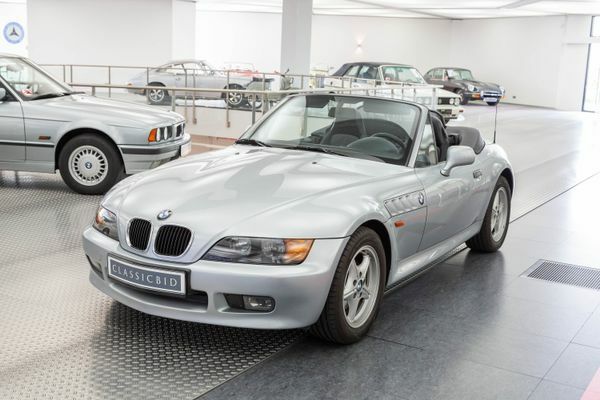 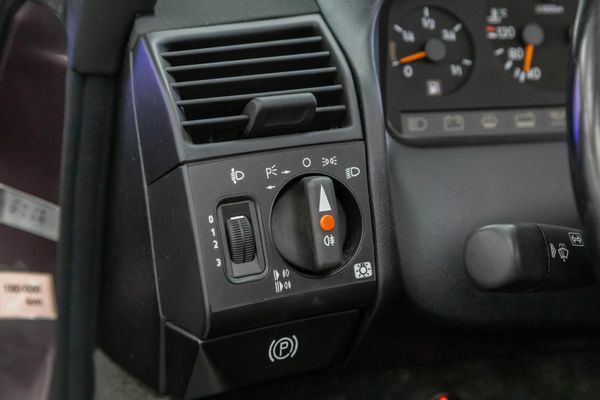 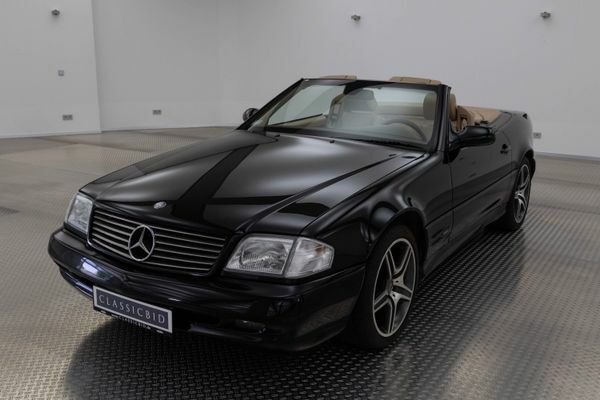 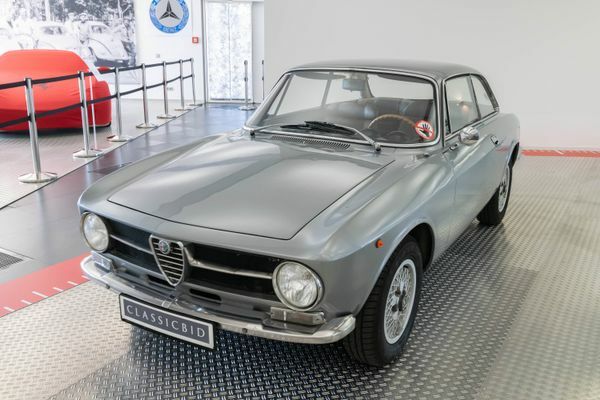 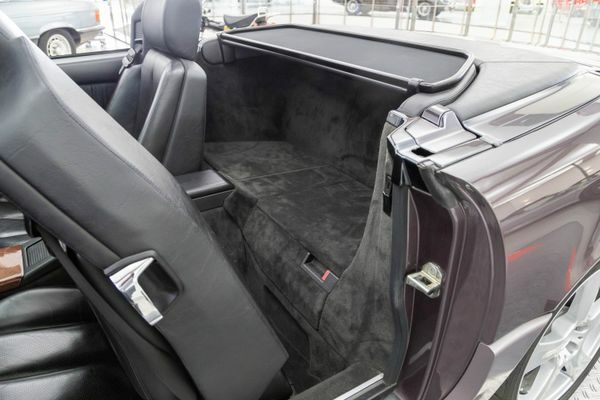 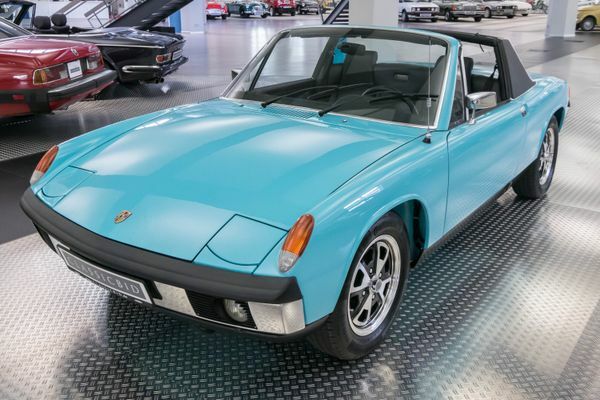 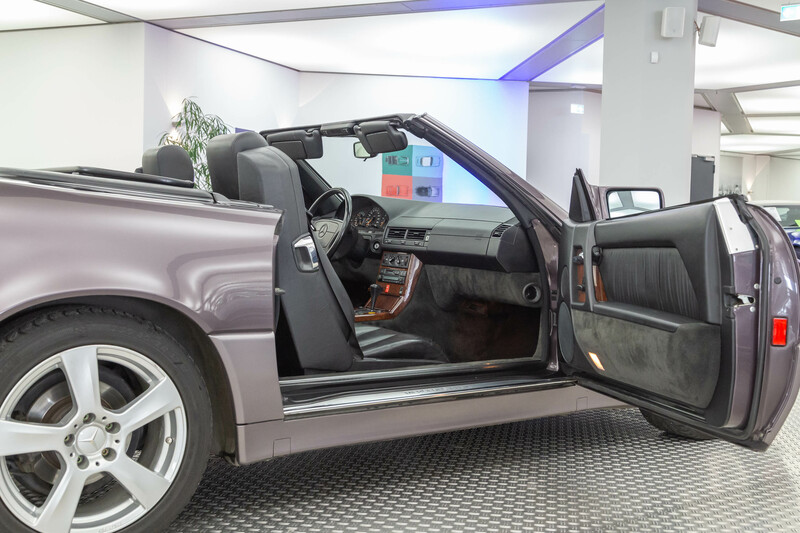 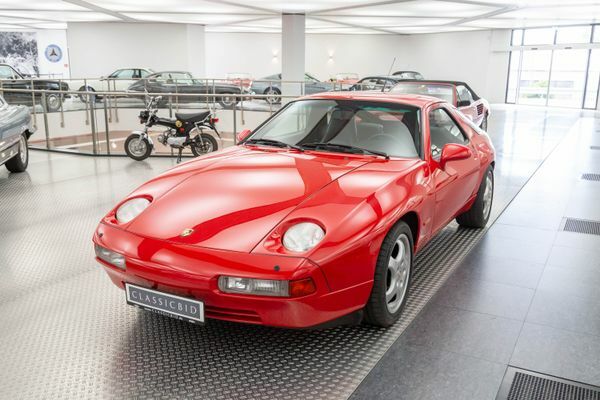 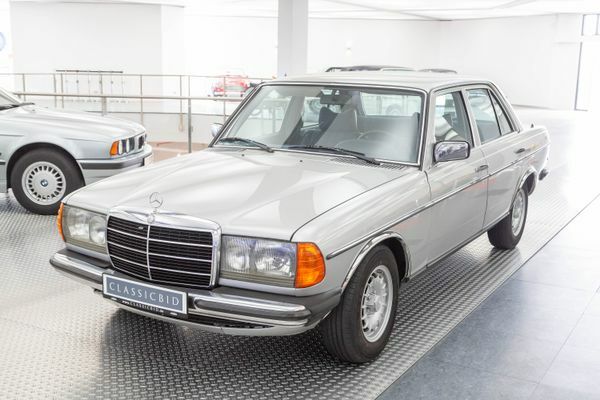 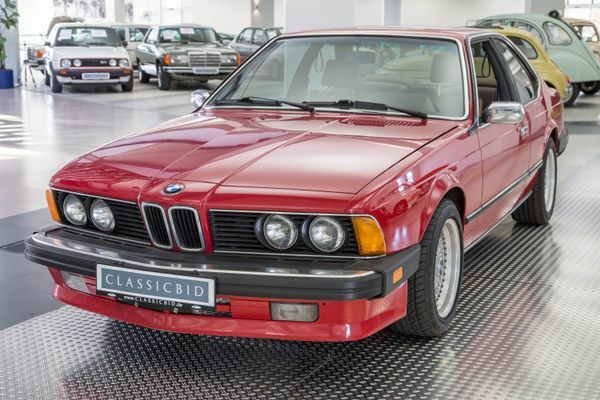 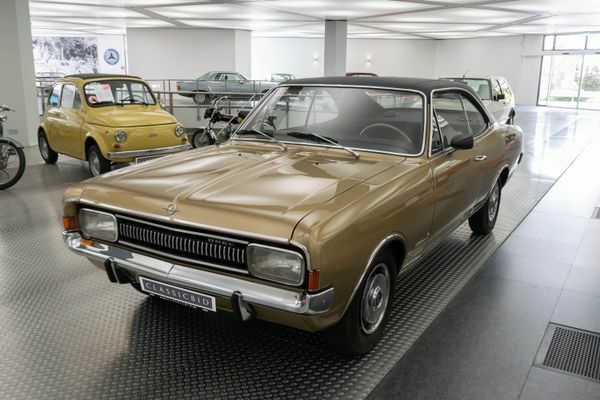 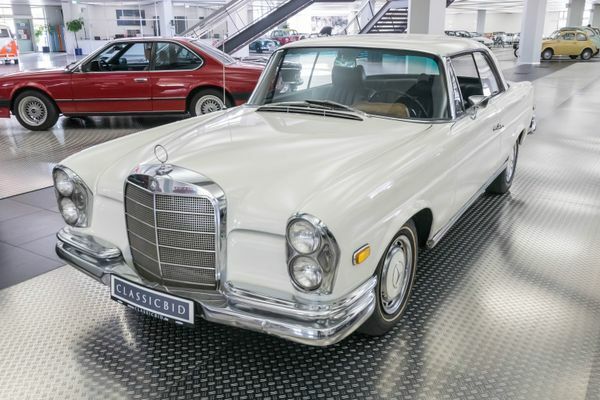 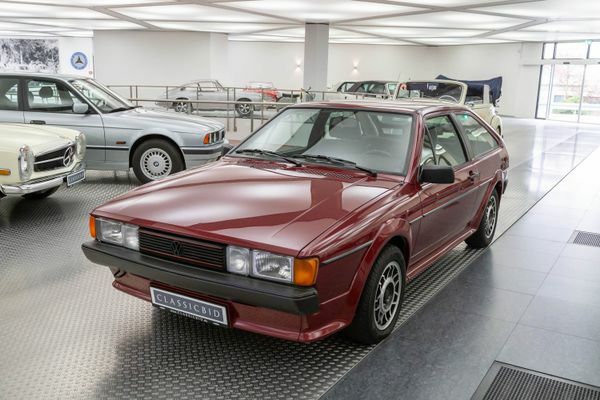 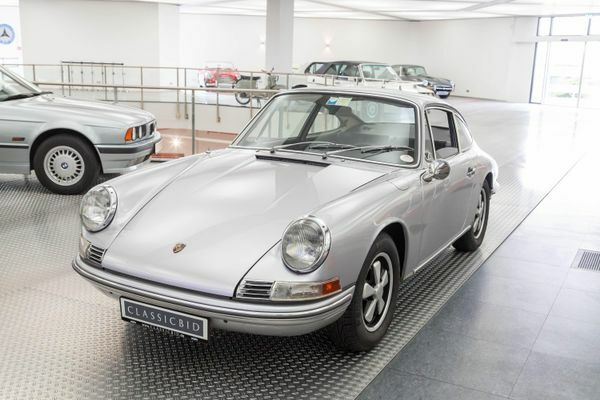 Its predecessor had been on the market for no less than 18 years, so the target group was more than ready for the new car and received it enthusiastically – so much so that early customers had to put up with a delivery period of several years. 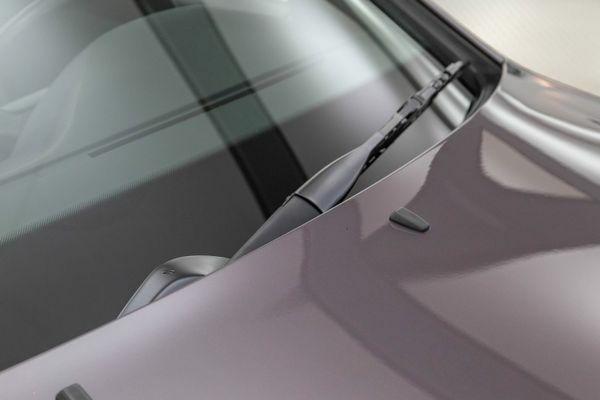 The aerodynamical wedge-shape design by Bruno Sacco won the international “Car Design Award”. 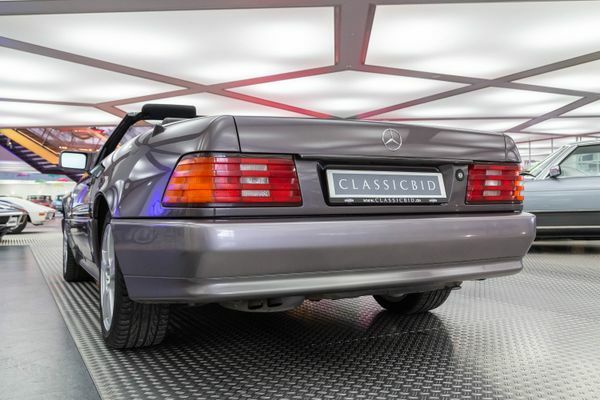 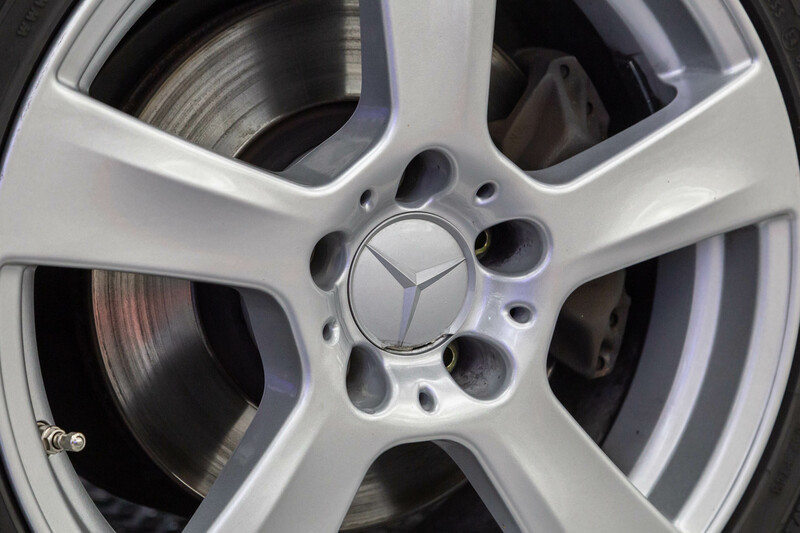 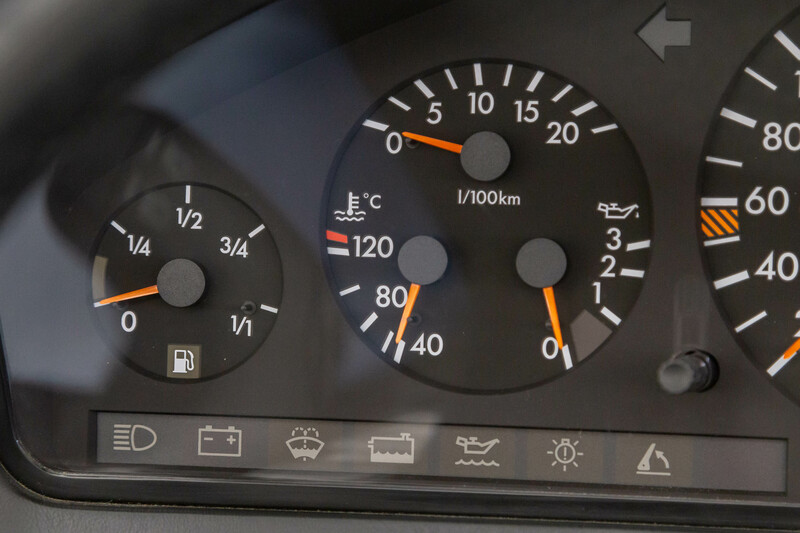 Technologically, the new SL was very advanced, especially with regards to its safety features. 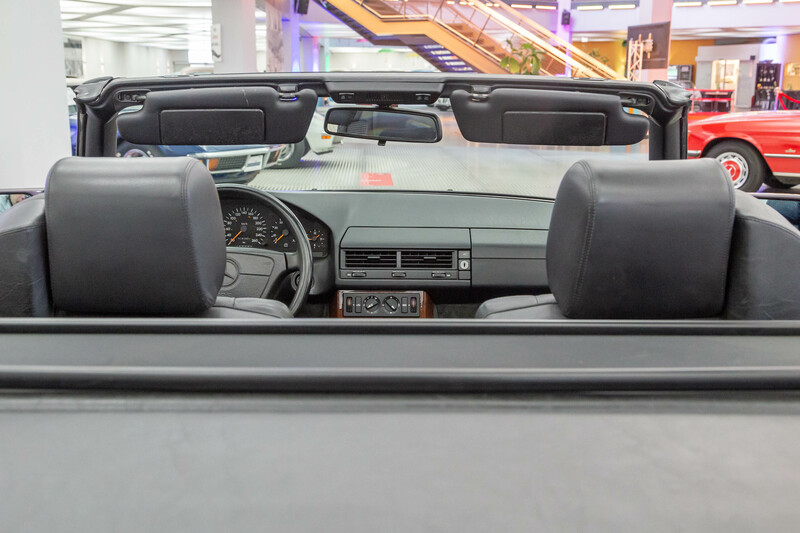 They comprised a sensor-controlled automatic roll-over bar which would be raised within 0.3 seconds if needed, as well as integral seats. 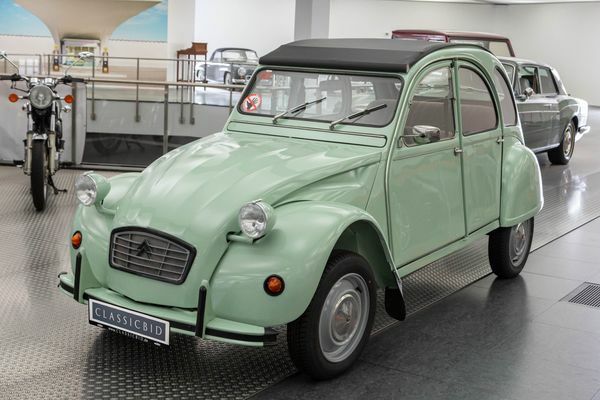 The fabric top mechanism was no longer manually operated as it had been in the R107, but electrohydraulically, it opened and closed within 30 seconds. 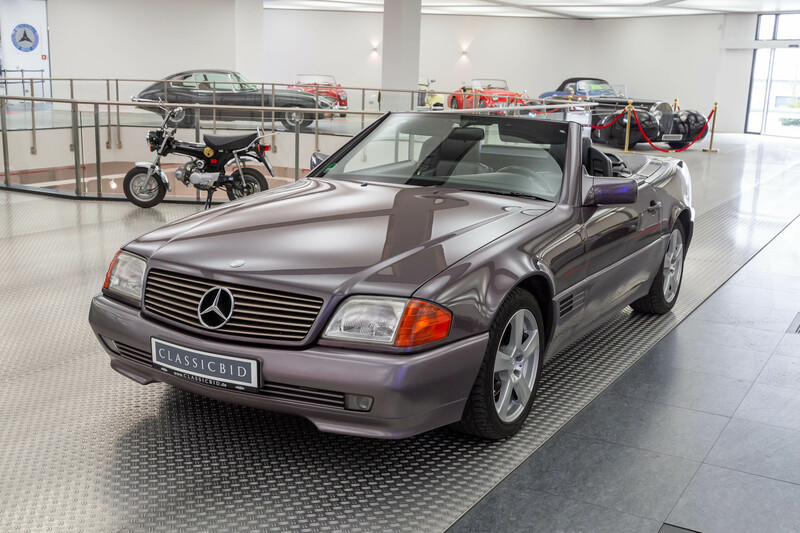 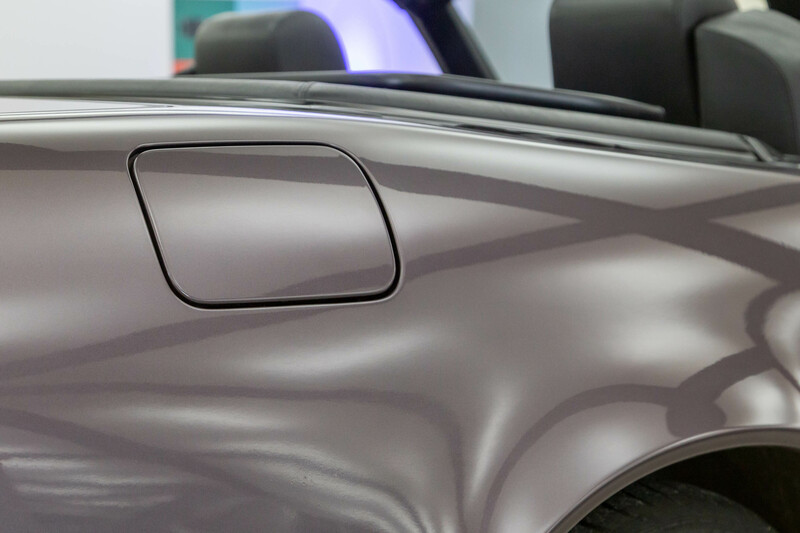 The aluminium hardtop weighed about 10 kg less than the one of its predecessor. 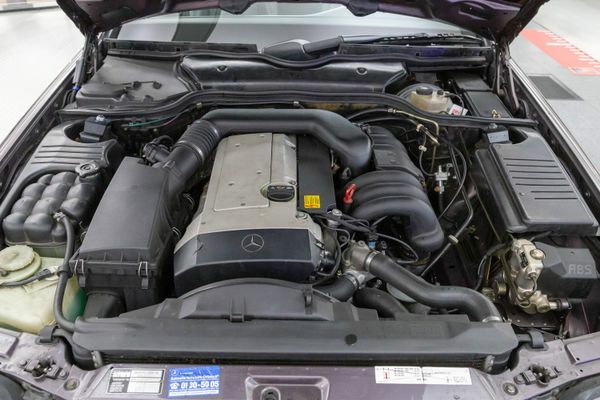 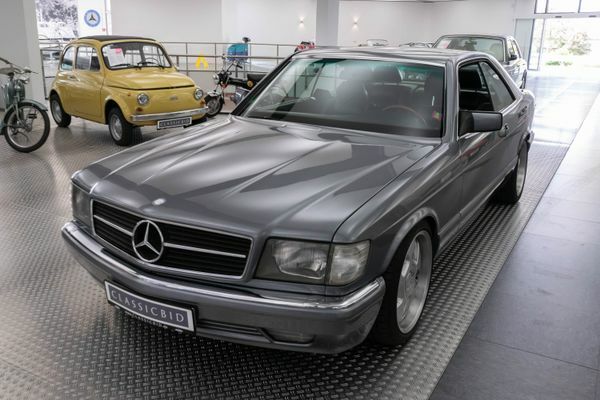 The R129 was available with a variety of engines, from 2.8 litres of capacity all the way up to 7.3 litres in the rare AMG V12 variants. 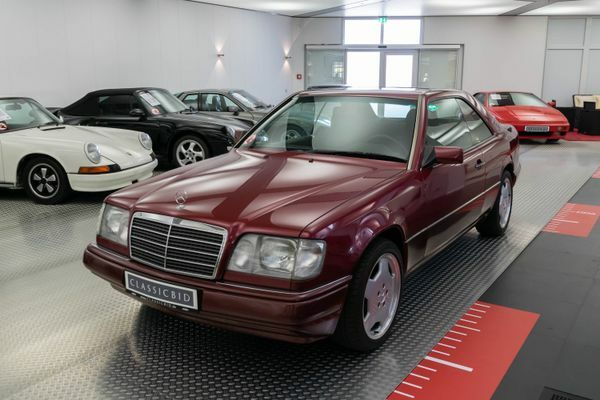 A total of 204,940 examples were built over the course of 12 years, with two facelifts in 1995 and 1998, most of them equipped with V8 engines.